So I put it to a vote on Twitter, and it seems like many of you would like me to start blogging about Wizard101 again! 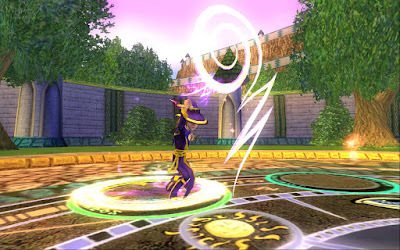 This means I will be updating my Wizard101 Guides section and updating you guys on the news, but I wanted to do something more as well. 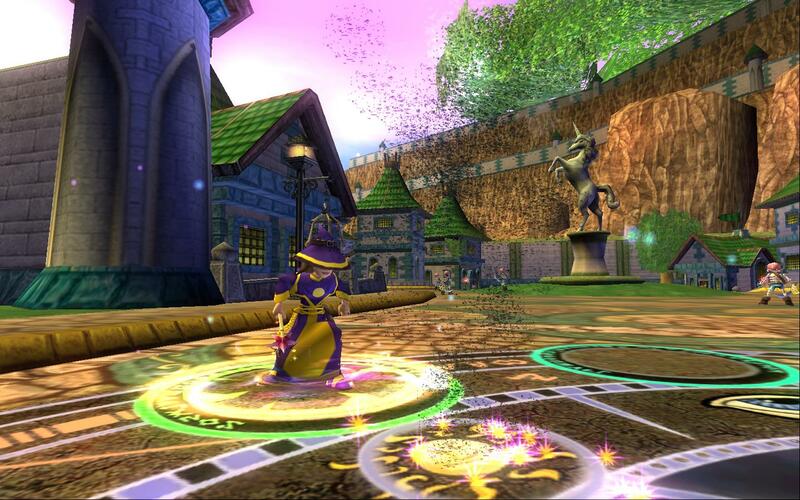 I have been wanting to make a storm wizard, since that is the only school I haven't tried out yet. Plus, I just got the Storm Gulture mount a few weeks ago when I was opening some packs. I figured now would be a great time to create her so I can blog about her adventures! 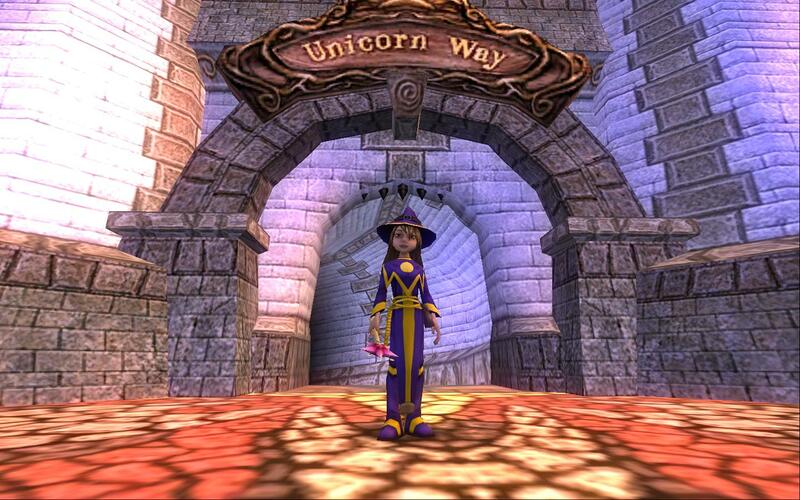 I skipped the tutorial and jumped right into questing in Unicorn Way. Apparently the undead were taking over and my help was needed to help clean the area up. Lots of fighting of Lost Souls and Skeletal Pirates (I think that was for a side quest) and I was finally directed to Lady Oriel in the Hedge Maze. Lady Oriel wanted me to find out why some of her fairies had turned dark. I defeated a few to collect fairy dust and this led to the discovery that they had been turned dark by something undead......DUN DUN DUN!!!!!! 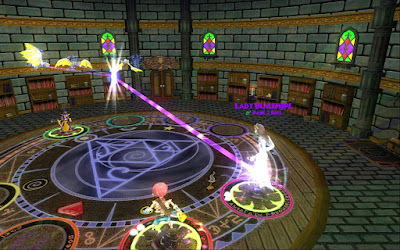 So we finally discovered that the source for all the dark fairy turning was Rattlebones. I went to his tower to defeat him. This was a pretty scary fight.....I had to defeat him AND a dark fairy at the same time! Okay, this actually wasn't too much trouble.....until my internet died. When I logged back in, I had died too. So I healed up and went back in and defeated him, no problems this time. 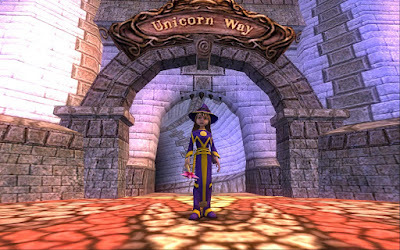 So that was the end of Unicorn Way......or so I thought. My next quest was to head over to Olde Town and talk to Sergeant Muldoon. Apparently he wanted me to prove myself before allowing me to help him, so he sent me back to Unicorn Way to defeat Lady Blackhope. This battle went pretty smoothly too.....except for the fizzling! But in just a few rounds, her and her minion we dead. So next I will be heading to Triton Avenue. I will leave that for my next post. Before I go though, I would like to share my initial thoughts about storm. 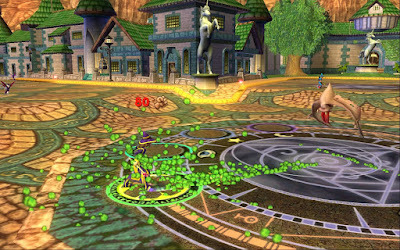 The pro is that even the starting spells are strong and usually enough to take out these early enemies in one hit.......when they work. The biggest con here is fizzling. I always joke and say I'm the fizzle queen, because I seem to fizzle on all of my other wizards more than normal. However, I think my storm wizard will take this to a new extreme. 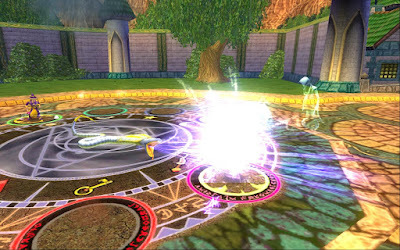 There were several fights already when I fizzled 3 or 4 times in a row. 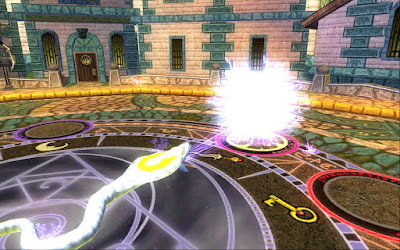 I have even fizzled with Lightning Strike on, which adds 10% storm accuracy to my next storm spell. So yeah, questing this character should be interesting! Anyway, regardless of the fizzles, I had a lot of fun starting the game over with a new school. 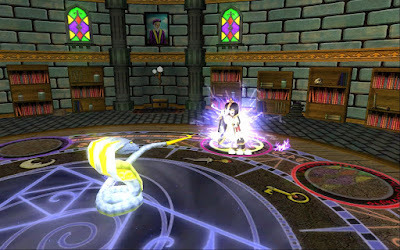 I hope you all enjoy following me as I take the Spiral by storm! See you soon and thanks for reading! Woohoo! I'm happy to see you do more W101 blogging again. I did the same thing a while back with a Life wizard since I've always wanted one. Storm is a pretty fun class due to being able to figure out which style works for you (more health, less damage and vice versa) so I'm sure you'll have a blast with it. Can't wait to see what's next from you so keep up the great work!